Everest Basecamp, Trek Route & Itinerary, Days, EBC, Trail. 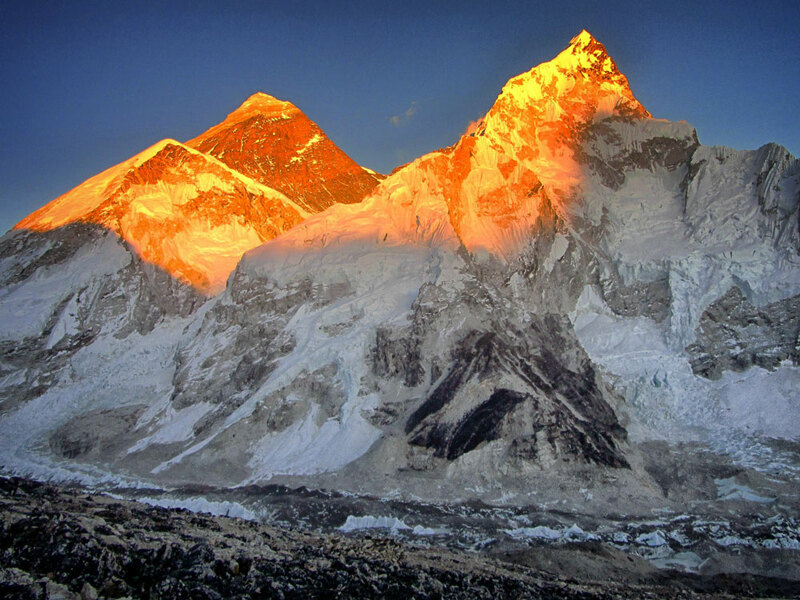 The Everest Base Camp trek is arguably the finest trekking trail in the world and is definitely the most desirable one. Ask any avid trekker for his/her list and Everest Base Camp trek or EBC invariably pops up. But Everest Base Camp trek isn’t a walk in the park. One must first take a flight from Kathmandu to Lukla. 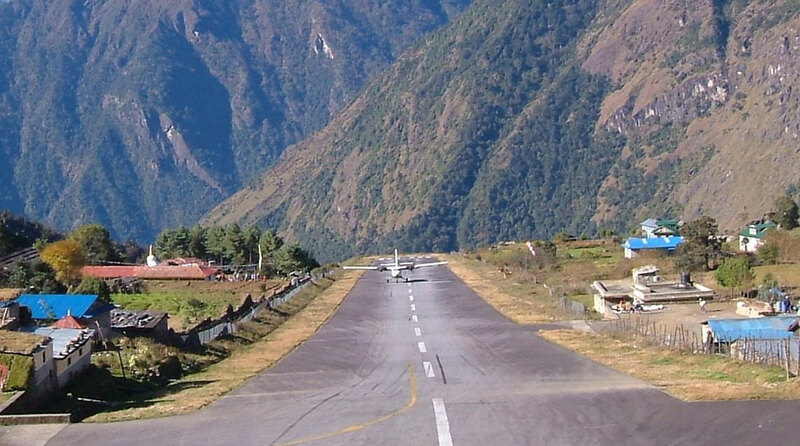 Lukla may be among the most dangerous airports of the world but it’s still one of the busiest. The flight itself is exciting for two reasons; one, there are exquisite views of the Himalayas during the flight and second, it’s a pass to the amazing Everest Base Camp Trek. Before Lukla airport was constructed, people had make a 5 day trek from Jiri to Lukla. That is what Tenzing and Hillary did in 1953. This is what my guide, Jaya Tamang conveyed to me, with a smile as if 5 extra days of trekking meant nothing to the average Nepali people. This combination of tough and gentle Nepali trait was baffling me for a while now. “Can we stay here for a while?” I breathed, looking around the tall hills that surrounded the airstrip. “Yes,” he said quickly. “But it’s better to walk towards Phakding and rest there.” He got ready for the walk, and I adjusted by backpack, mildly disappointed. I’d been envisioning lots of pictures and some videos. We were headed for the Everest Base Camp trek, and chasing the golden Everest view that was possible from a place called Kalapatthar. It helped me consider the importance of life and to be tested and not care so much about the difficult things in life but to live in the moment because that is what matters the most. In life, whenever I am facing darkness, I can remember this moment and shine like Everest in the fading sunlight. That, becomes my golden moment. I had visited Nepal many years ago, walked along the streets of Kathmandu’s Thamel and Jhochhen, known as Freak Street in the hippy era, and even sipped Nepal’s famous Ruslan Vodka and Sanmiguel beer. There used to a picture of a golden Everest on the bottle of Sanmiguel and I believed that it was a refinished, manipulated picture to enhance the idea of a logo. I didn’t think much about it until a Nepali person told me that the picture was real and I could see it from a place called Kala Patthar close to the Everest Base Camp trek. I was told that the setting sun would render the mountains golden and I had pictured the event in my mind then. I had to visit this Kala Patthar. I had to make the Everest Base Camp trek. Sadly, I found this information only a few days before I left Nepal and I couldn’t get past Kathmandu and Pokhara during my time there. It was only years later that I would return to Nepal, owing to my longing to have a glimpse of that Golden Everest. And here I was making that trip, finally. Alone, but ready. The Everest Base Camp trek to Kala Patthar was a perfect fit. At eight-nine days, it was the right length to match my time in Nepal. I was desperate to do a high-elevation trek to get closer to the mountains but it had to be a special time so that I could witness blooming Rhododendrons and unobstructed views of mountain tops. I chose to make the trek in mid-April, the perfect time for any trek in Nepal. “The weather is great, right”, Jaya said, as he started walking uphill while I was still marveling at how I’d found myself there, clad in cold proof clothing, and streaked with sweat and excitement. I’m not quite adventurous and I don’t gravitate toward the woods or the mountains to yearn for the spiritual. But there was something otherworldly about this place, something in these treasured realms, that were brimming with lushforests, remote hillocks, babbling rivers, and pleasant peaceful valleys dotted with exquisite villages that were instantaneously mesmerizing. Phakding is about 7.9 kilometers away from Lukla and the route was levelled in the beginning but then the walk was mostly downhill after sometime. We could see the meandering milky white Dudhkosi River flowing to our left and after quite a few small suspension bridges and walking for four hours, we reached Phakding. Phakding is a small village to the north of Lukla at an altitude of 2,610 meters which means that we had descended 250 meters from Lukla. Few places reveal such a rich amalgamation of wonderful people and sensational natural scenery as the Everest Base Camp Trek. I had realized that as we had landed in Lukla and now that I had reached Phakding, it became more obvious. But apart from all the exuberance that I was feeling, I also had to acclimatize quickly and not fall sick. At such altitudes it’s very easy to be affected by Acute Mountain Sickness (AMS) and there were strenuous days ahead. Somehow sleep was elusive that night and I woke up early the next day. After a sumptuous breakfast of porridge and eggs, we began walking towards Namche Bazar. Jaya told me that the trek was going to take about 6 hours and Namche was the biggest settlement in the region with a flourished bazar, guest houses and packed settlements mostly inhabited by the Sherpa community. 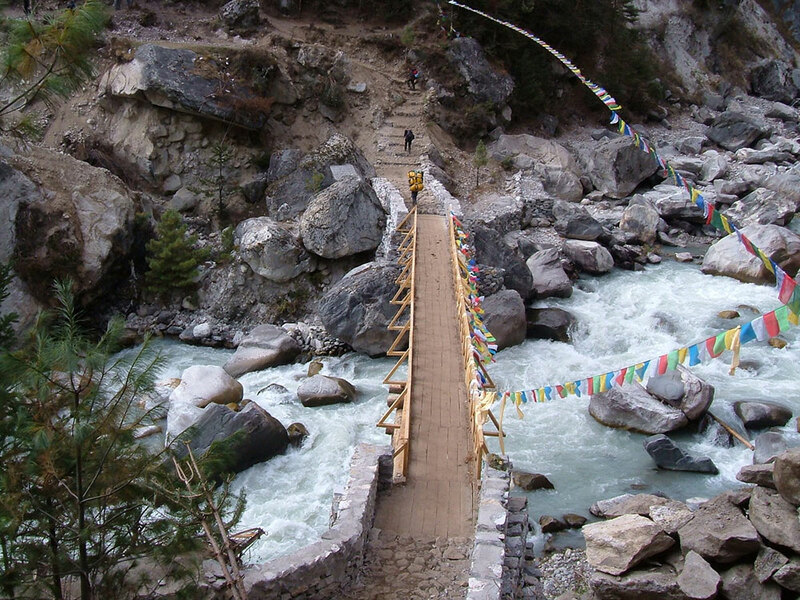 We began our trek along the Dudhkoshi River slightly uphill until a suspension bridge took us to the other side. There were going to be 5 of these suspension bridges and the last of which was the highest in the world. Pumped up for a while and a little exhausted in a few hours along the ups and downs of the trail, we finally reached a small settlement called Jorsalle where we stopped for lunch. After lunch we continued along right up to another suspension bridge crossing a river many metersbelow, on shaky legs. There was a steep climb up from there for a few hours and the sweat literally drenched my t-shirt while my exhausted legs demanded that we stop.Fortunately we came across mules carrying rations to be followed by hybrid yaks carrying LPG cylindrical tanks upon a suspension bridge and we stopped for a while. This is a typical scene on the Everest Base Camp trek, for it is the only way to get supply to the villages in the upper regions of Everest. The animals carrying supplies, people carrying vegetables, porters carrying bags for trekkers; these sights were fascinating and my respect for the people living in this remote corner of the world only grew deeper. We came up to a point as a turn on the trail which gave us the first glimpse of Mount Everest at a distance wreathed in clouds. The sky wasn’t as clear as I’d hoped for and Jaya reckoned that it could rain. By the time we reached the Monjo La check point, the clouds had become denser. When we reached Namche Bazar after hiking for more than 5 hours, the sky drizzled. Jaya insisted that even slight rain would clear up the weather and open up great views the next day. Hoping that he would be right, I snuck into my bed a quickly fell into a deep slumber. Namche Bazar is a comparatively large settlement situated at 3,460 meters and though it is nothing close to a town, it is the next best thing at that altitude and the biggest settlement that you will encounter on the Everest Base camp trek. Located at the hub of two distinct trails, it offers excellent views of the entire host of mountains. 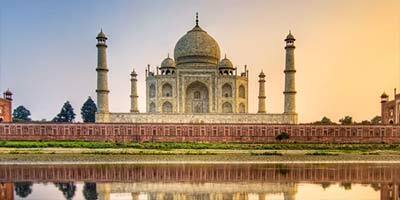 There are restaurants, lodges, cafeterias, shops and even ATMs. My itinerary said that I had to stay another day in Namche to acclimatize, something that your body requires at that altitude. Outside, as Jaya predicted, the day was clear and I could see the houses fringed on the hills and children running around in the sun dotted alleys of the town. A rest day in Namche. We needed to go to the Everest View point hotel for an acclimatization hike and also for the all-round 360 degree views of the mountains. I did not have any symptoms of altitude sickness yet and if my legs were even a bit exhausted, the excitement of being in the mountains had overcome it. It turned out to be a splendidly clear day. We made it up to the view point in good time for a glimpse that the entire world longs to see. The perfectly clear sky was a gradient of blue that shifted slowly as the sun made its way over the mountains, the light fracturing over snowy flanks making geometry in the sky. We could see Everest, Lhotse, Pumori and Ama Dablam along with a host of other mountains gleaming, sometimes as bright as the sun. We returned back to the lodge and I watched the streets of Namche with rapt amazement, the difficult life that the people led, and wondered if I could live there viewing Nature’s greatest each morning, every day! I had grown up with an instinct to observe, watching my brothers who lived their lives being immersed in whatever they chose to do, living in the moment. I needed to feel the same; to have no thoughts but only feelings-to be guided by emotions and moments. Traveling alone in the Himalayas seemed like the answer and here I was attempting to feel, to be open to life and yet I was observing even more. But even as I could not change who I was, I had provoked a momentous series of inward awakening. I was in awe, and at Namche Bazar, at almost 4000 meters, I met mountaineers and trekkers, both first timers and experienced, all in awe of the Himalayan views, swayed by observations, moments and emotions. I slept early that night and started early the next day. A short but steep ascent out of Namche took us on a trail that bordered the edge of the hill and then levelled out for a few hours. Far above, I could see Everest as if enticing us to reach its base, perhaps even ridiculing my shaky, tired legs and yet blessing my determination. Soon, we descended right down to a River and stopped for lunch. As we walked past intimidating but actually timid Yaks on the way, we came across a suspension bridge and it took us about two hours of steady climb before we reached the magnificent Tengboche monastery. As we ambled near the glorious Monastery which contrasts the raw views surrounding its ornate architecture, quietly humming “we are the champions” in low key, I was prepared to fully appreciate the unceasing Himalayan show, with its delightfully drifting clouds, and the revelation of the mountain tops that glittered between the branches of trees, past dwarfed hills, like a crown, royal and majestic. The trail from Tengboche dropped down into a shaded cobbled pathway flanked by blossomed Rhododendron trees on both sides. This was breathtaking not just for its austere beauty but also its emptiness. It was as if you were plucked from the present and dropped back into a time when civilization did not exist. The emptiness may sound desolate, but actually, it was really stunning. I wished I could stop, facing Robert Frost’s dilemma, and my voice of reason, Jaya waited ahead of me, looking back with a mild disappointment as I slowed down for a few moments to appreciate the “woods”. When I caught up with him, I apologized for slowing down the trek. He replied, “No worries. A little delay won’t affect us”. He often responded with “No worries”,making me wonder if he brought about a lot of Aussies to Everest. And perhaps today he was just being gracious or professional but I appreciated any kind of patience when your lungs aren’t getting much oxygen because by now, the trail had begun its ascent. 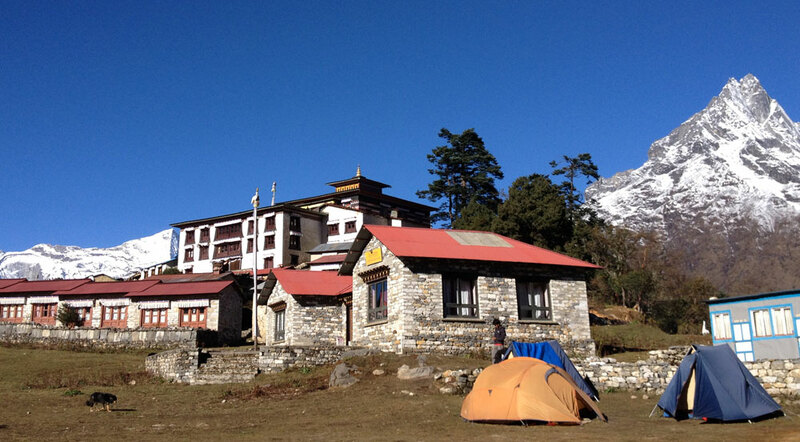 We reached Pangboche in the late afternoon and checked into one quaint Himalayan Lodge. 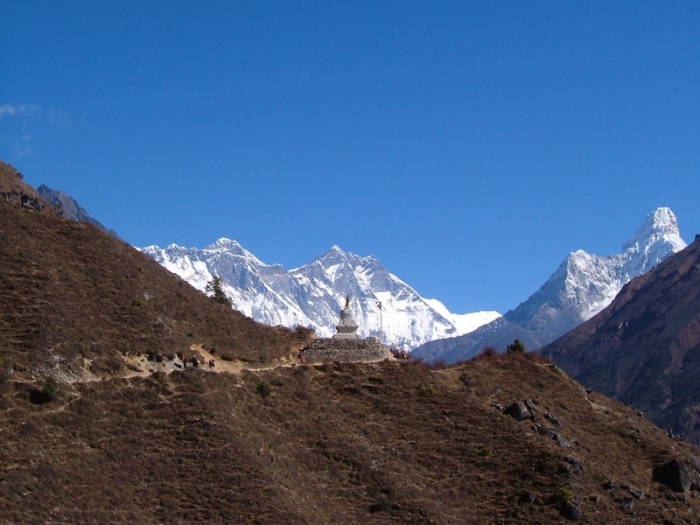 At 3860m, Pangboche is a small village with a cluster of a few houses, lodges and restaurants. You wouldn’t survive alone in this remote place and yet here they were in their small group, surviving where it seems like nothing should. 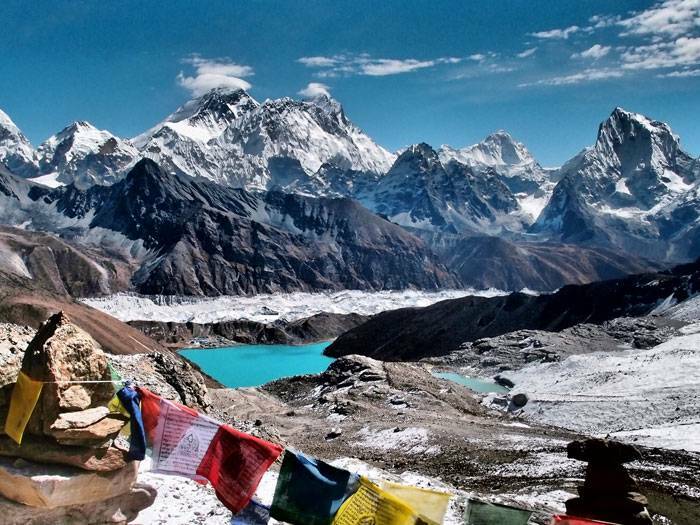 Pangboche makes you admire the boundlessness of human capacity. Ironically what seemed like a harsh terrain to live in, Pangboche provided you the greatest comfort and rest during the difficult Everest Base camp trek. The trail from Pangboche to Dingboche winds along the Imja Kola River with the view of the imposing Ama Dablam Mountain all along. We could see Yaks and mules carrying supplies, Kerosene tanks, people and porters carrying heavy loads and felt as if the Ama Dablam Mountain was getting bigger with each ascent. The gentle uphill trail wasn’t so challenging and we could enjoy the peaks that were revealed to us in their full glory. 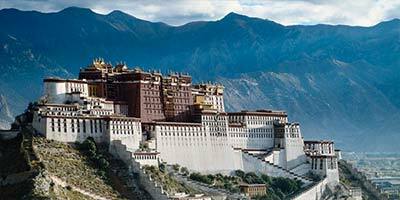 Visiting the Himalayas is one of the most ultimate confrontations with nature that you can have. It’s may not be relatable like most scenery on earth, but the feelings of humility and awe come more naturally to most of us, feelings that are otherwise at the background of our mundane existence. The Everest Base Camp Trek is arresting, because when you glance away from your exhaustion and your need to reach from one point to another, you see the mountains that seem surreally guiding you from afar, as if they breathe and have long awaited our arrival. Some might call that ego but I think it’s simply about how we can feel connected to nature in the utmost unadulterated way. We reached the intersection that leads to Periche but we headed right towards Dingboche. After the intersection, the trail descended to reach a river crossing; a small bridge. We reached Dingboche in the afternoon after about 3 hours of walking. This gave me a lot of rest time where I could either sit in the room of my lodge or get out and enjoy the gorgeous views of the gigantic mountains on three sides. Ofcourse, I chose to do the latter. 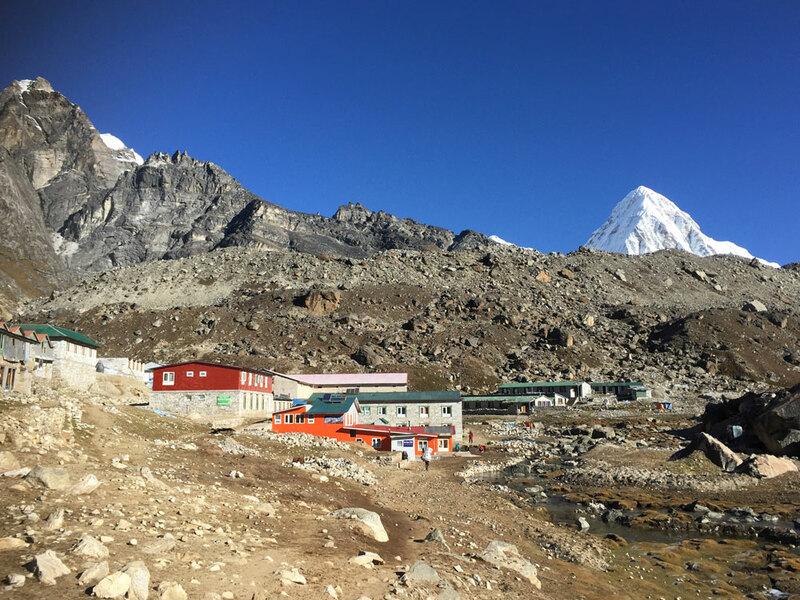 At an altitude of 4,410 meters, Dingboche is a comparatively larger village in the Khumbu region and I was rejuvenated because of the rest and for almost completing the Everest Base camp trek. Naturally, I ready for Lobuche, the next stop. The trail from Dingboche to Lobuche does not cover a huge distance but at that altitude and less oxygen, it feels awfully long. After breakfast when we left Dingboche, the day was bright and more than half a dozen helicopters flew overhead. Jaya explained that those were usually rescue helicopters. After about 2 hours of trekking, we stopped at a place called Thukla for some tea. After tea we took off to make a steep climb to a pass at 4830m. The pass had various memorials and reliquaries dedicated to the people who had lost their lives climbing Everest. There were plaques bearing their names, as if their spirit still lived around those mountains or had eventually become one with the Himalayas. The power of this place struck me, as of course the courageous men and women who dared to climb Everest, but when I walked through the pass forever inhabited by these memorials, I was more conscious of the broad reach of death.Their demise also felt more palpable here. I appreciated these unsung heroes with relative anonymity and I felt captivated by the enchanting loneliness of the place. We arrived at the settlement of Lobuche at 2pm. Lobuche at 4,940 meters is a settlement that shares it name with mountain peaks like Lobuche East, Lobuche West and Lobuche Kang. I retired to the small room in my lodge quickly gearing up for the next day, to have an early beginning, excited that I was almost there. While my tired legs hurt a bit, my eyes investigated the white ceiling of my room, trying to pick out the forms, as mountains gleamed in my imagination. Worshipers of nature, the indigenous people of Nepal and the Sherpas and the Tibetans believe in a strong connection between the people and the mountains, and saw sacred spirits that reflected through this overwhelming landscape. In a moment of grand understanding, one that sprung from my journey to the Everest Base Camp and Kalapatthar that I could understand why these mountains were revered. In this remote land, the omnipresent mountains loomed large, they overlooked, and always kept their gracious presence while blessing the valleys with water and the people with wonder. We took off at 7am the next day. Aside from the ever-increasing altitude and lesser oxygen, the day followed a similar trend to the previous days. The climb was steep for a few miles and a few hours of hard ascent along a glacier took us to Gorak Shep at 5,164 meters, a tiny village close to the Everest Base Camp and Kala Patthar. This is the last point where one can stay before heading for a quick excursion to the Everest Base Camp and Kala Patthar. It had taken us about 3 hours to reach Gorak Shep, enough time to visit the Everest Base Camp. But I wasn’t so interested to see the Base Camp as I had decided upon going up to Kala Patthar before sunset. At Gorak Shep, the sun shone bright but the glistened cold floor headed into my body. My head assumed a mild ache, the power of altitude that I could not shake off. Gorak Shep, with the astounding views of gigantic mountains all around seemed regal and powerful and enveloped my body with deep fatigue that almost knocked me out. Almost out of breath, I told Jaya, “Let’s go to Kala Patthar instead. I can’t see Everest from the Base Camp anyway”. Jaya looked at me with a puzzled expression but said calmly, “Okay, no worries. We can rest for a while and reach Kala Patthar before the sunset”. 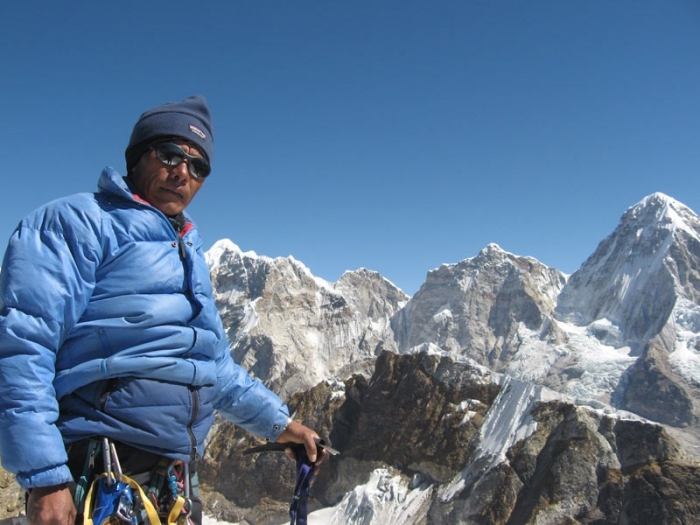 So in the afternoon, with our eyes set at Kala Patthar, we embarked from Gorak Shep for what was my dream journey, my pursuit for the Golden Everest, now being realized. Even with a slight headache, I reveled in the rugged peaks that surrounded us everywhere with Mount Nuptse straight up and Mount Pumari behind, and I struggled to walk the last 15 minutes in our 2 hour hike up to Kala Patthar. Kala Patthar, meaning 'black rock' in Nepali stands at an altitude of 5,164 m and provides the most accessible closeup view of Everest, Nuptse and Changtse and Lhotse. I had finally reached my destination after many days of walking and now all we had to do was wait for the sun to set. I hadn't moved an inch in an hour, yet I had been taken on a trip of light and shades, my sense of awe mounting and dipping in harmony with the clouds. The sun began to fall and while the atmosphere grew darker, the mountains began bursting with overwhelming beauty. The movement of light was ceaseless, random, and cast the peaks in different shades and hues. The sunlight was majestic, unveiling the peaks piece by piece illuminating the snow with splashes of burnt orange. It lit the uneven crest of the peak, rendering the snow glossy over Nuptse and the mighty Everest. Then in one sudden moment, when the sun seemed to hide behind the mountains, the uneven jagged polished granite and snow became Golden. Petrified, mesmerized, I sat down, thoughtless and speechless for the longest time. Everything else faded from my awareness and I just gazed at the world's most beautiful view. This wasn't some dream. I moved a bit and looked at Jaya and we walked back to Gorak Shep, my headache and my fatigue now gone! Standing in Gorak Shep, I reflected on the experiences of my hike, the intriguing Himalayan stop overs, both known and unknown; and that I could not have seen this without making that difficult walk from Lukla; without the renowned Everest Base camp trek. But the point of this narrative is not the trek, it’s about how a scenery binds you to a place, even if that walk means a hike up an impossible, unforgiving terrain or an ascent that leaves you cursing. It is about how that same trail leads you to speechlessness. The Everest Base Camp Trek and Kala Patthar had awakened a dormant part of me. It gave me the courage to stumble about in the unfamiliar, to challenge myself and to walk despite all human conditions. It helped me consider the importance of life and to be tested and not care so much about the difficult things in life but to live in the moment because that is what matters the most. In life, whenever I am facing darkness, I can remember this moment and shine like Everest in the fading sunlight. That, becomes my golden moment. 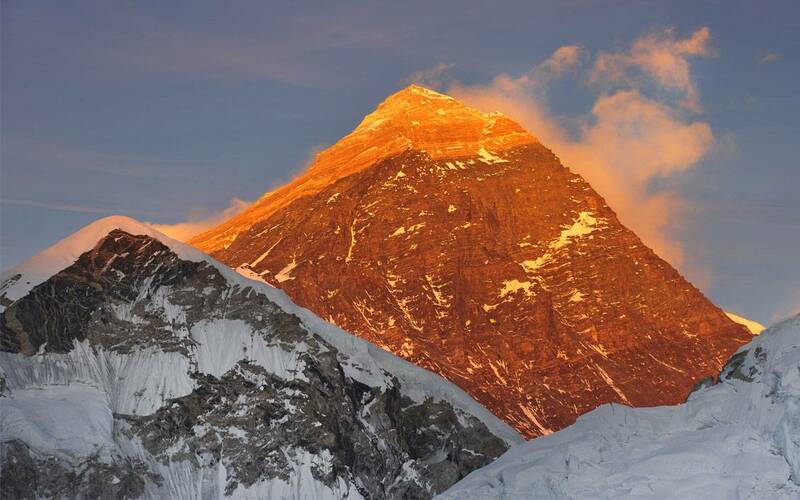 Everest Base camp trekis best from March to May and mid-September to the end of November. This period offers the best views of the mountains. Some trekkers also do it during the winters. Though the winter offers clear views too, the nights can be very cold and the Everest Base camp trek becomes quite challenging during this time.In March, the winter ends making way for warmer, spring settings. There could be afternoon rain during this time but it paves the way for clear mornings. Late spring which is the month in May, are generally hot at lower elevations and clouds start to build up. 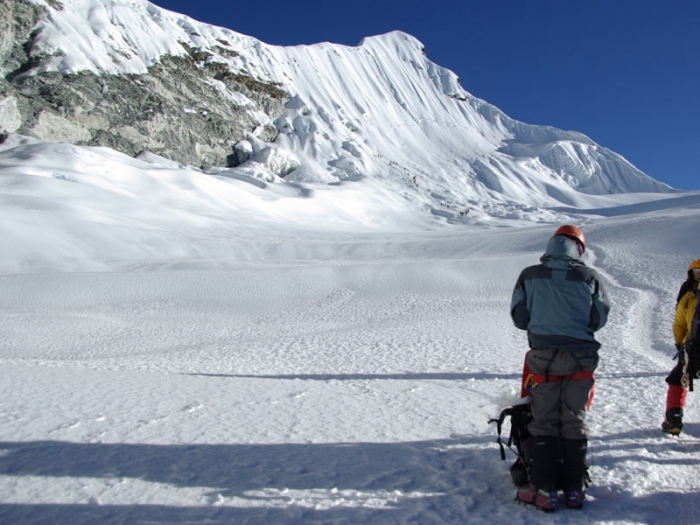 This is the time that provides good conditions for mountaineering as the weather is clearer at higher altitudes. The monsoon is a rainy season in Nepal, which lasts from June to early‑September. During this time the Nepal Himalaya is unsuitable for trekking, with the exception of a few remote regions like Mustang or Dolpo. You will have to carry extra warm clothing, a rain-jacket, water bottle, camera gear, valuables and personal items such as sunscreen (at least SPF 50). Porters or mules carry your trek pack. You must also have comfortable walking boots, a sleeping bag and a fiber jacket. Trekking boots must be lightweight, waterproof and with ankle support. Your day-pack must have a cover. You must carry wind-proof gloves. Carry a socket adapter. Many sockets in Nepal are of Type C with circular pins, so be prepared for that. There are numerous tea houses on the Everest Base camp trekkingtrail. It is not necessary that you have to stop at the locations that I stopped at. Chances are that you will find a tea house ora lodge at various intermediate places too. You will get single or double modest rooms with attached or shared toilets and shower rooms.The tea houses have their own charges for hot shower, drinking water and Wi-Fi and phone charging. Some might charge you and some might not. The Everest Base Camp trek is one where you might lose calories quickly. 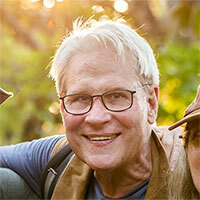 Most trekkers carry Snickers bars and energy drinks. While you are at tea houses, there are proper restaurants that offer burgers and pizzas and some might also offer steaks and sizzlers. You can have porridges, soups and salads too. But typical Nepali meals like Daal Bhat (Rice and Lentils) are mostly available and are good for Himalayan conditions. I recommend that you eat food that have high liquid content because the walking will make you perspire a lot. You must also have food that has a lot of garlic in it. Garlic boosts your immune system and helps you fight the cold and equips your body for walking at higher altitudes. You can buy packaged water at the tea houses or just fill the bottles with tap water and add a purifying tablet to it. Reasonably fit people should be able to do the Everest Base Camp Trek. The only way to prepare for the Everest Base Camp Trek is some cardio workout at least a month of two before your trek. You need to be prepared to make long walks through a series of ascents and descents. It is therefore best to practice walking uphill or downhill as preparation for the trek. My advice is that you talk to your trekking guide about the walk because he certainly has more experience and will help you prepare each day. At higher altitudes the test is more mental than the physical. So determination is more important during the Everest Base Camp trek. 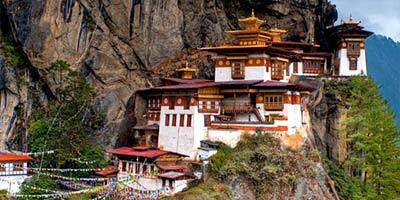 Everest Base Camp trek is the most coveted trekking trail and perhaps the most popular in the world. Because of this, the route has good infrastructure but this might make you complacent which can give you Acute Mountain Sickness. The altitude demands that you acclimatize at certain stops. Drink a lot of water and eat. Alcohol is not advisable. If you have severe headache and nausea, the best solution is to descend gradually. Reflect on your condition and listen to your body. Everest Base Camp trek is about how you can be humbled and lose your ego, don't let your ego get to you. It’s not about conquering, it’s about losing yourself in the moments and sights. Jeremy Dunbar took the Everest Base Camp trek with Himalayan Dreams in 2017. We are honored to publish his article on our blog. 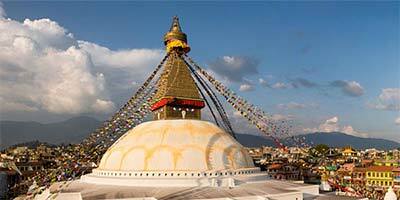 Nepal: Ready Again To Greet The World Of Travelers !